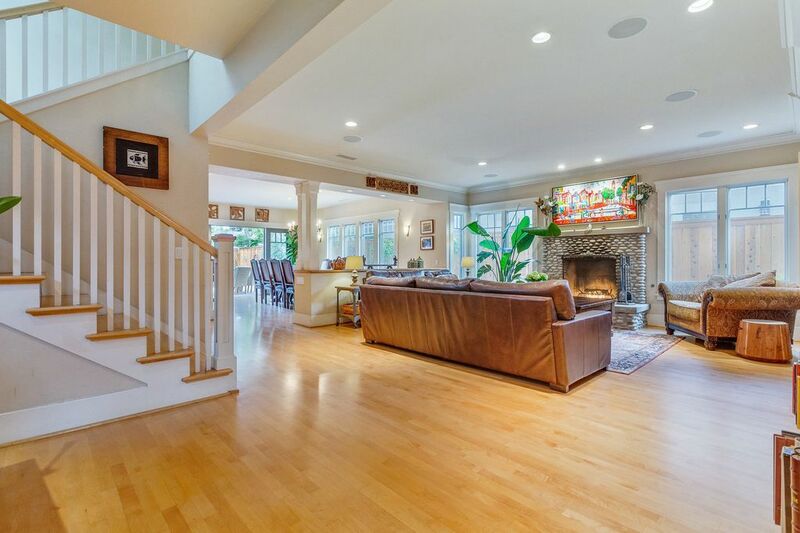 Our beautiful custom built, 3 story home is located on one of Coronado's premier streets. Enjoy our fabulous open kitchen/ dining area ( dinner table seats 10+), perfect for entertaining. Open the french doors to the beautifully landscaped backyard with outdoor living area, and built in BBQ area, take a dip in our aquamarine pebble-bottom pool or soak in the jacuzzi. Roast some marshmallows at the outdoor fire pit. Pack a picnic and chairs in the bike trailer for concert in the park on Sunday nights , or play a quick round of golf just around the corner. One of California's most desirable beaches and the world famous Hotel Del are less then 1 mile away from your front door. Or hop on the ferry to watch a baseball game at Petco Park.